Featuring a tremendous and regal piece of jewellery from bellast. I'm honoured to have this elegant piece of modern jewellery. Before I had a different product in mind, but I literally changed my mind when I saw it available in stock and decided to have this one. Bellast is a store deal in high quality modern jewellery and offer free worldwide safe shipping. They are also offering 30 days money back guarantee on every product, if you do not like any purchase product you can return it in specific time and can get your money back. It was looking so regal in images on website, but was more prettier in real. 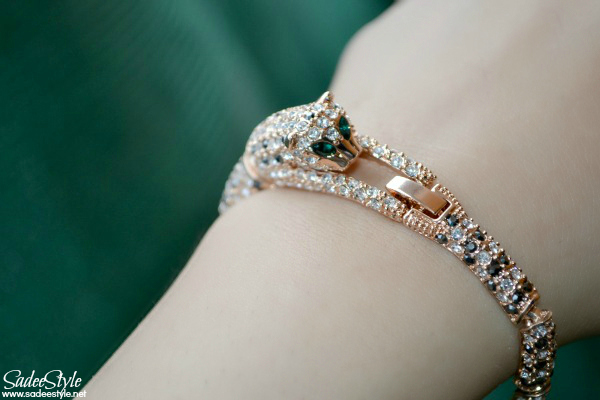 It's really a beautiful and high quality bracelet made with fine solid material, alloy and crystals. It is of excellent quality, and quite chunky and heavy, but very comfortable to wear. 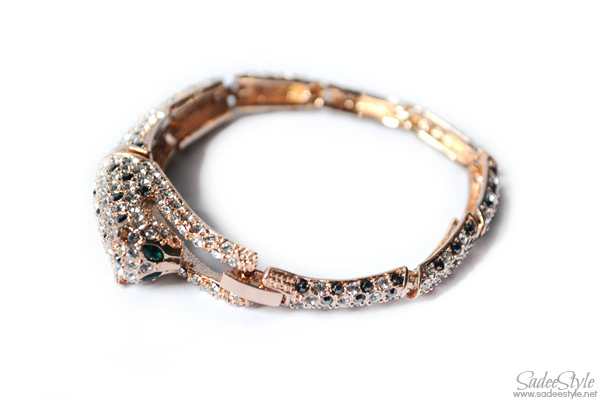 This gorgeous bracelet is encrusted with clear rhinestone and has a stunning green rhinestone eyes. I'm a fan of collecting jewellery and have been ordering jewellery from different sites, but I admire the quality of bellast which make it unique from other competitor online sites. There are many wonderful bracelets are available in various colours and styles encrusted. Besides bracelets they also deal in wonderful Sterling Silver Plated jewellery for wedding and engagement. For ordering and detail please visit the link Bellast. 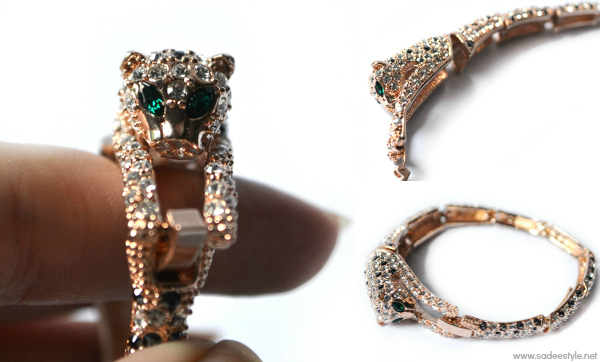 leopard bracelet wowoowow.love the details and the sleekness. this is gorgeous!! so luxurious!